The advent of distributed energy generation and high-capacity batteries in combination with IoT+blockchain technology is disrupting the supply and sale of energy by creating an emergent electrical grid where the means of production are less centralized and the control systems are less likely to be centralized. Energy will ultimately become a commodity and companies will need to come up with new value added services for their customers around smart homes, e-mobility and smart buildings, the new touch points with their customers. Utilities will build and operate marketplaces on top of their existing products (for example street lights are transformed into smart city hubs) where trading of critical data (such as the air quality, traffic, and noise nuisance) will become the main business model. As part of offering value added services on new touch points, utility companies will enter into the business of leasing smart appliances to their customers to make homes and companies safer, cleaner and more sustainable. This smart equipment will enable customers to save money by giving them an insight into their energy consumption. By owning the smart home device, utility companies might connect their services to the security system, the cleaning company or the technical support. While the new generation of smart meters allows tracking of the energy produced and used by consumers, mechanical meters are still very common. The incompatibility problem among distributors and suppliers can be observed. This issue results in hardware losing its “smart” functionality when changing distributor or supplier. Depending on consumer behavior, production and consumption of energy might fluctuate significantly and adequate information management is not always put in place. Transparency about how much energy was consumed and information accuracy can be improved with crypto tags. Non-removable, sealed crypto tags verify a meter’s integrity (untampered nature), and thus create trust in the consumption data provided. Via NFC, the owner, previously authorized via biometric authentication, is able to access the tag data and upload consumption information. 3. Demonstrate the benefits and thus increase the incentive to upgrade legacy IT systems. 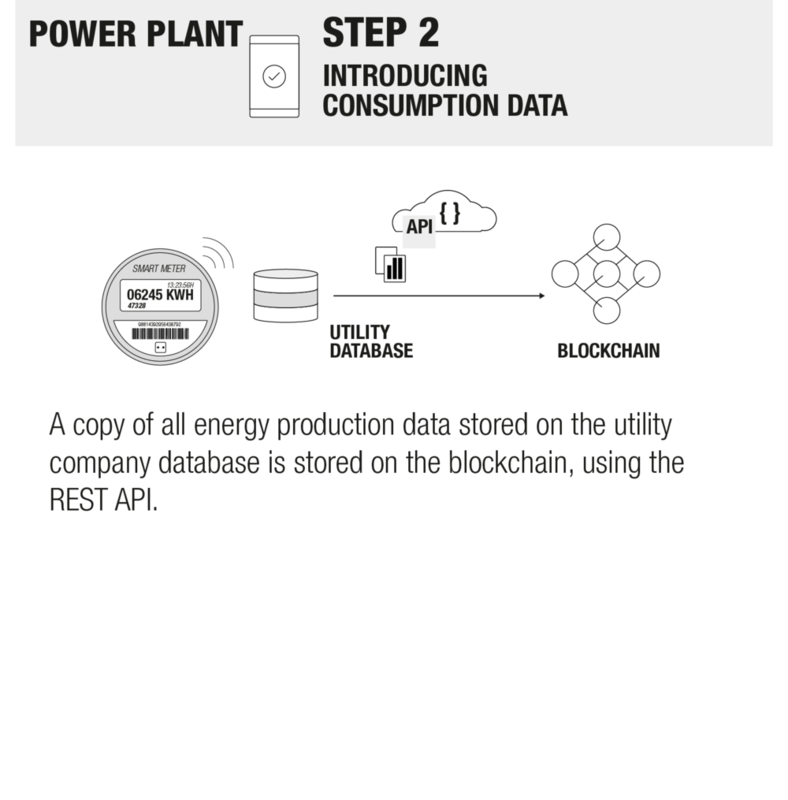 Using the energy metering case as an example, we have applied the Blockchain-User Interaction Model in illustration below. As the illustration below shows, the connected, but separated levels serve different stakeholders and address different requirements.